Turkish journalist Can Dundar, who is standing trial on charges of revealing state secrets, has been attacked by a gunman outside an Istanbul court. The gunman fired at least three shots outside the court, eyewitnesses said. Can Dundar escaped unharmed but a reporter was reportedly injured. Police say they have arrested the suspected gunman. Erdem Gul, a former colleague of Can Dundar who is also on trial, said the attacker shouted “traitor” as he fired. Can Dundar, a former newspaper editor, was briefing reporters outside the courthouse when the incident occurred. 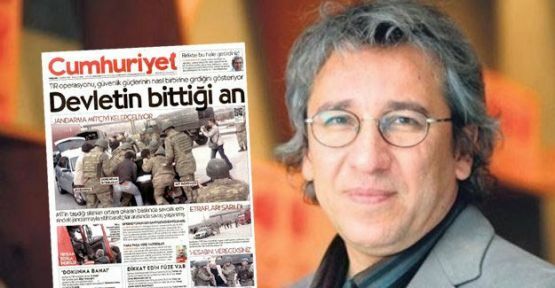 The journalist is standing trial alongside Erdem Gul over a series of reports in Cumhuriyet newspaper that alleged Turkish intelligence operatives were transporting weapons to Syria in early 2014. Can Dundar and Erdem Gul face life in prison if convicted. Turkey’s President Recep Tayyip Erdogan has faced international criticism over the decision to prosecute the two journalists. Can Dundar and Erdem Gul are among a number of journalists and human rights activists who have been detained or prosecuted in Turkey in recent months.